Fifty or so years ago it was part of a dairy farm. Later the big, rich intervale field was used to grow vegetables for market. For the past thirty years the land was in my family and has passed to me. During that time the fields were kept mowed and a standing seam metal roof was installed on the barn. 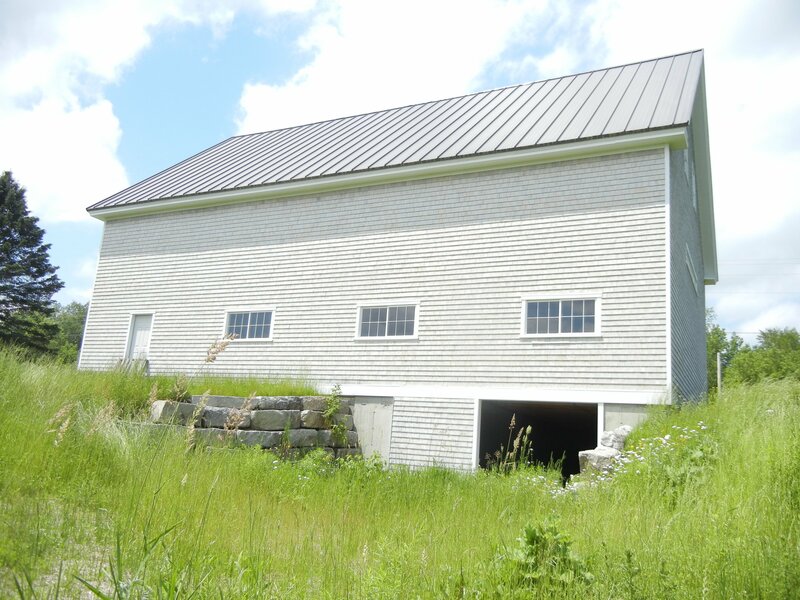 During 2012 and 2013 the 40'x60' hundred year old post and beam barn was restored, cedar shingles applied, and a reinforced cellar was built under it with a south facing access door. A closed lean-to with an Overhead door was added also. The big front barn doors open to a remote controlled Overhead door with electricity throughout. 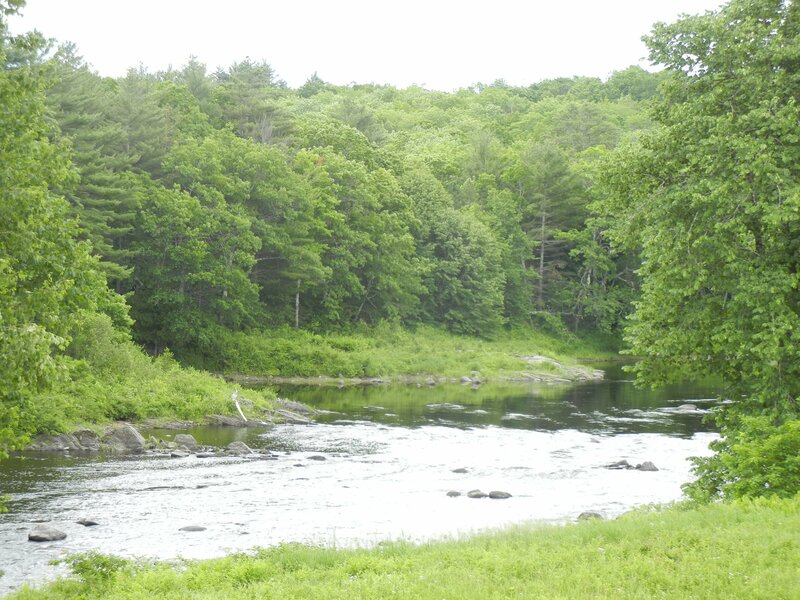 The property has a lovely view up the Piscataquis River which curves around the east and south side. The 12-15 acre intervale floods every five years or so and has rich soil. 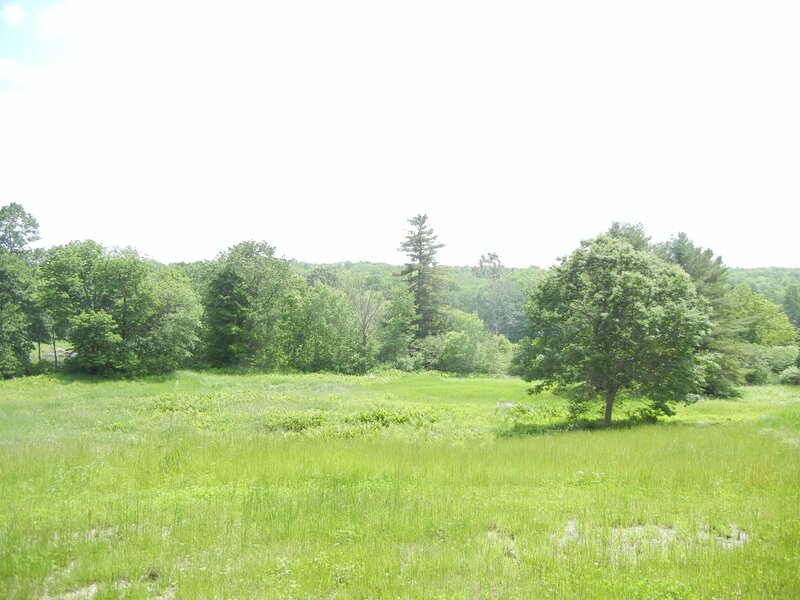 There is a two acre meadow beside the barn fronting the road and the property slopes south from the road to the river. The small woods have some beautiful big white pine. Access to a spring gives water supply. There are large oak trees lining the river and we would often walk there. 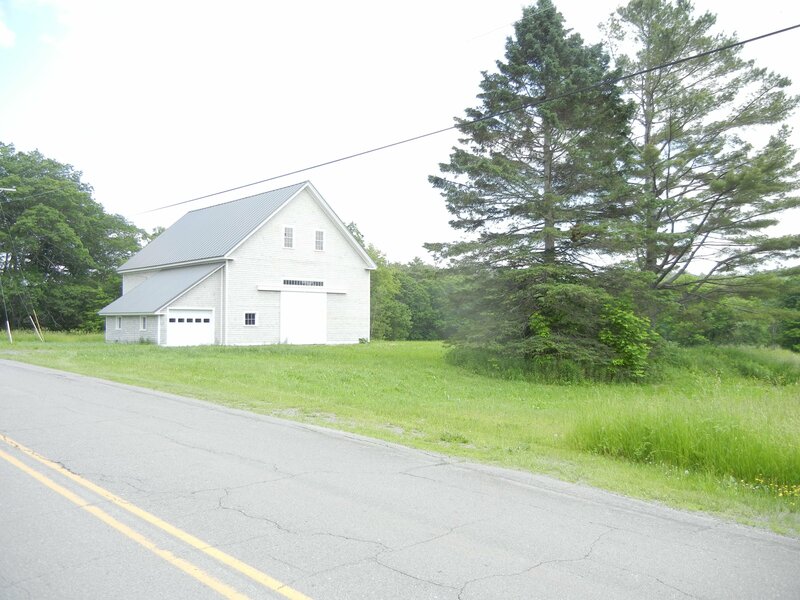 The property is located a mile from town on Vaughn Road.